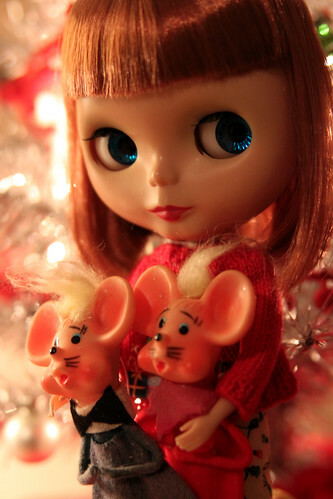 Sweet sweet mices! Yes, I finally got a few of these mice. 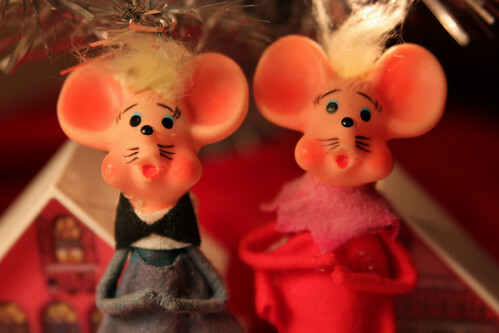 Grew up with them...my grandpa & grandma put them on the tree every year. We used to laugh at them cause they were so silly looking. My dad brought them for/to me at Thanksgiving. I feel like I have a part of my Grandma & Grandpa here. I miss them both everyday. Cute! I love when ornaments bring back memories. There is only 1 ornament from my childhood I wish I could replace but I haven't had any luck finding it :P Maybe one day in a thrift store when I'm not searching, it will find me.